The Historical Basketball League (HBL) is the first college basketball league to compensate and educate its players based on their market value. Today, the HBL (@hb_league) took a major step towards its 2020 launch by announcing the hiring of two-time NBA champion David West as the league’s first COO. West will oversee the development of basketball infrastructure; including recruitment, scouting, performance and NBA relations. In his role, West will help form true and transparent partnerships with the HBL’s players. College athletes are the heart of their sport and deserve a fair share of the revenues they generate. Before the HBL, basketball players were excluded from those financial benefits while everyone around them received significant compensation. The HBL provides a new opportunity, one without economic and academic exploitation. The HBL’s players are projected to earn between $50,000 and $150,000 per season based on athletic talent and marketability, in addition to receiving a guaranteed scholarship and having the ability to sign with an agent to fully commercialize their name, image, and likeness, all without jeopardizing their eligibility with the HBL. During his four-year college career at Xavier University (OH), West earned three Atlantic 10 Player of the Year honors and was named national college player of the year by the Associated Press and United States Basketball Writers Association.West played 15 seasons in the NBA, most recently with the Golden State Warriors where he helped earn back-to-back championships in 2017 and 2018. 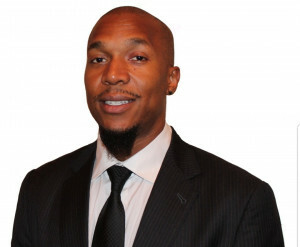 A two-time NBA all-star (2008 and 2009), his collegiate and professional experience gives West first-hand understanding of how the sports world works. This, coupled with his deep desire to nurture, support and help young athletes, is why West sought out this historic opportunity. In his new role, West’s primary goal is to help the HBL’s players develop in a productive and positive manner. He will also help their families navigate the grey, unspoken areas of college-athlete recruiting, and shine a light on the HBL as a new opportunity for elite high school athletes looking to holistically develop on and off the court while in college. 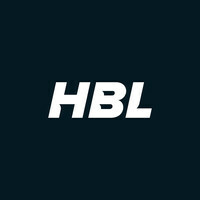 “The HBL believes that providing equity to its players will produce a higher quality basketball experience for fans to enjoy, and better opportunities for sponsors and partners to connect directly with the athletes that promote their product,” said Volante. The Historical Basketball League will launch in June of 2020 in 12 cities across the country.